I’m now taking watercolor classes, struggling to create something that I can be proud of but mostly learning how to be humble and not compare myself with my fellow classmates. As hard as I try to enjoy the journey and not focus on the end result, I still strive to have my finished product an example of perfection. 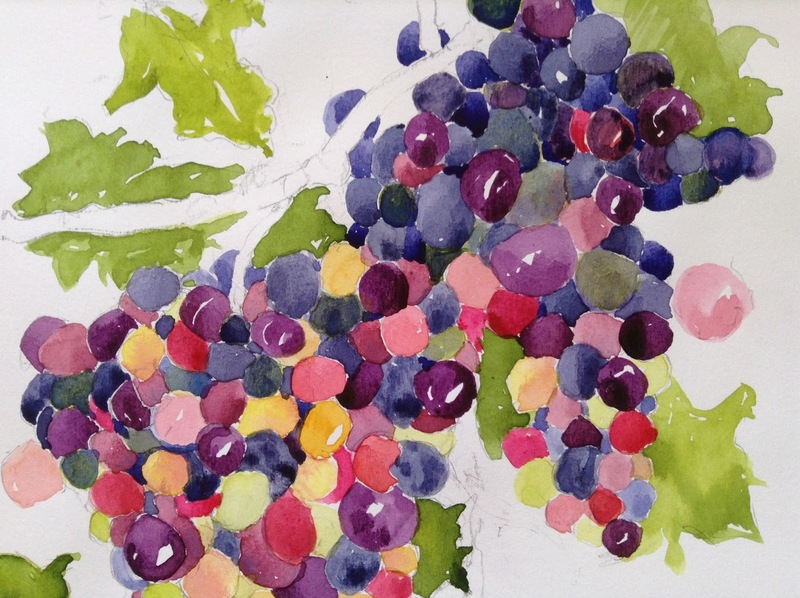 I never thought of imperfection as an asset until I read my watercolor instructor’s latest post. The gap between Lauren Hutton’s two front teeth. The wiggly lines of Gahan Wilson’s cartoons. Uneven brush marks in hand-painted china. The tempo at which Toscannini or Glenn Gould raced through pieces. Odd chisel marks in hand-made furniture. These are just a few examples of what might be thought of as imperfections that, in fact, make a person, place or thing memorable, beautiful, unique. My favorite live figure model of all time hated her thighs. What a pity. She was stunning. Make a little list for yourself of physical things, personality traits, or emotional baggage that you think make you imperfect. Forget about what you think anyone else may think about these things. You’ll never know for sure anyway. Plus, it doesn’t matter what anyone else thinks. It matters what you think, how you feel about yourself. Take that little list and find a way to accept, embrace, and ultimately love each and every one of those things, traits, and pieces of baggage. You may find that this exercise can make it easier to let go of said baggage because, hey, who needs it and who has places to store that old crap anymore? Anyway, all the little marks and bruises, faux pas and clumsiness, guilt about Bad Things You’ve Done and so forth, all of those things make you you. And by the way, you—the real you— is just traveling in this body and personality temporarily. You’re much bigger and brighter and shinier than you remember. There is no one like you. Never to be repeated, you are a miraculous variation of the human being. Yes, learn to love ourselves, imperfections and all. Imperfections that make us unique! I was told once “Perfect is boring”. Now I say it as frequently as I need to!